Interesting thing happened today, but never mind that. We had a server go down recently in our staging environment, wasn’t any big deal, we had to have vendor support come out and replace the motherboard. It was stage, not a big deal. The thing was, the server was down for a couple of days. Actually it was down for a total of 4 days. The server in question is a SQL 2008 subscriber to several published tables on the staging OLTP SQL 2008 Instance (using push subscriptions). Sadly, not thinking of this ahead of time, we neglected to adjust the maximum distribution retention period for transactional replication (which sits at 72 hours). Suffice to say, the server came back online, we restarted the distribution agents we got the dreaded “subscription marked as inactive” error requiring us to have to reinitialize all of the subscriptions to that server. “There goes my afternoon” thought I. Not being a fan of the replication monitor in 2008 I dreaded having to work with it to go through and reinitialize each and every publication for that subscriber, especially given that there are around 80 different articles. There must be a better way I thought…and lo, there is! Books online talks about sp_reinitsubscription and passing parameters for the publication, article, subscriber, destination database, for schema change, publisher, ignore distributor failover and invalidate snapshot. What BOL is not clear about it that you can pass in just a subscriber, that’s it, nothing else. Running this reinitialized all of the publications within the current database for that one subscriber. Very quick, very easy. From there I just had to kickstart the snapshot agents and we were back in business (sp_start_job in this case ftw). 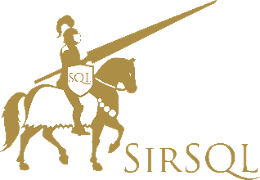 It’s T-SQL Tuesday time again! This month Michael J. Swart (blog|twitter) is hosting and has given us the topic of indexes. I’ve previously written about how you can find indexes that are not being used and get their sizes. Not being allowed to reuse that meant that I had to come up with something else. In my previous post on calculating replication schema options I documented a way of being able to change article options in transactional replication so that you could apply all the non-clustered indexes on your subscribing table that exist on the publishing one. But what if you are using replication to offload reporting and you need to create indexes that don’t exist on the publishing table? You could always manually apply these indexes any time that you perform a snapshot but this requires manual work and can easily be forgotten. Create a basic publication (snapshot or transactional) and add a table article. Perform the snapshot and compare indexes between the tables (in this example I am using the person.address table from AdventureWorks2008). Now we change the existing publication so that whenever a snapshot is taken it will apply this script when applied to the subscriber. This change can be done in a couple of ways. The quick and easy way is to use sp_changepublication and just pass in the publication name, property change and location of the script. When you next perform a snapshot then the script will be applied. We can check that this actually worked first by looking at replication monitor where it will tell you that the script was applied. There are a couple of final things to note. Usually you will specify a unc path for the SQL script so that you just have to maintain a single copy. You just need to ensure that the subscriber is able to access the post-snapshot script location. If you use replication and find yourself manually reapplying indexes it’s worth evaluating whether using post-snapshot scripts might save you some work. I recently evaluated using page compression on some of my production data (see my post on estimating data compression). I’m using transactional replication to send this data out to a few other servers for reporting pusposes and I wanted to adjust replication so that the data compression settings on the tables would also be replicated. Making life a little easier on this was an application change that was going to require me dropping and recreating replication so I figured it would be a simple case to change the replication options when recreating the publications. Using the GUI I scripted out all of the existing publications and then dropped them. Now this doesn’t tell you a lot about what schema options are in place. The binary value @schema_option has all the information you need however it’s not exactly user friendly. Books Online has the information available to be able to figure this out, it just takes a little calculation. Somewhat of a pain I’ve created a script to tell me what options are enabled. This is really great and useful. In fact you can use this script to check out the schema options for any article, just plug in the schem_option value from sysarticles to get the data. Now to take it a step further I wanted to know what the new value would need to be for @schema_option in order to replicate the data compression settings. For this I wrote another query. This time it’s just a case of uncommenting the lines for the schema options that I want and running the select. Plugging in that new value and executing the sp_addarticle script created the new article with all the old settings and now included replicating compression options. Download the script Replication Schema Options.sql give them a try yourself and let me know if they help.